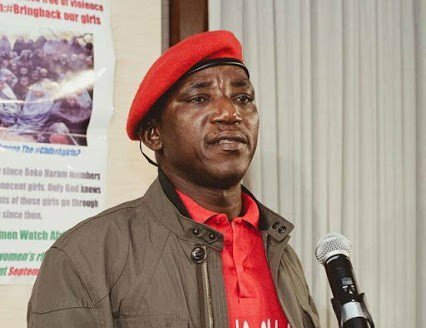 The Plateau State Government has replied the Minister of Youth and Sports Development, Solomon Dalung, for accusing the state governor, Simon Lalong of mismanaging over $2 billion loan. According to the minister, the APC administration in Plateau was not prudent in managing resources. “Where is the $2 billion loan collected from African Development Bank for potatoes processing factory payable in 25 years? Where is the factory located? Or where is the money kept and whose account? Why did the state government keep the issue of the loan secret? What is happening to LG funds? What is happening to 5 per cent meant for the traditional council?” the minister said in a statement he personally signed in response to an earlier verbal attack on him by the APC chairman in the state, Latep Dabang. The Commissioner for Information and Communication in Plateau State, Yakubu Dati, in a statement said Dalung’s allegations were false, and unfounded, and only meant to portray the state government in bad light. “For the records. Plateau State debt profile is N122 billion from an inherited debt of N220 billion. The records are available at the Debt Management Office for confirmation. The bandied figure of N1 trillion is tales by moonlight. “On the matter of the loan. It is still being processed and not released. This can easily be confirmed on the bank’s website as attached. The amount secured by the Federal Ministry of Finance is 11 million dollars and not 2 BILLION dollars being bandied. The facility was approved by the Federal Executive Council (FEC) meeting of Wednesday, July 26 2017. The loan was secured from the African Development Bank (AfDB) for the development of the Irish potato value chain, and the project is expected to create 60,000 jobs. “Plateau State would be providing N599 million as counterpart funding for the project.The loan has a five years moratorium; thereafter, whatever remained of the loan would be paid at the rate of 1 per cent in 20 years. The loan would be used to develop the Irish potatoes value chain in 17 local local government areas of the state.